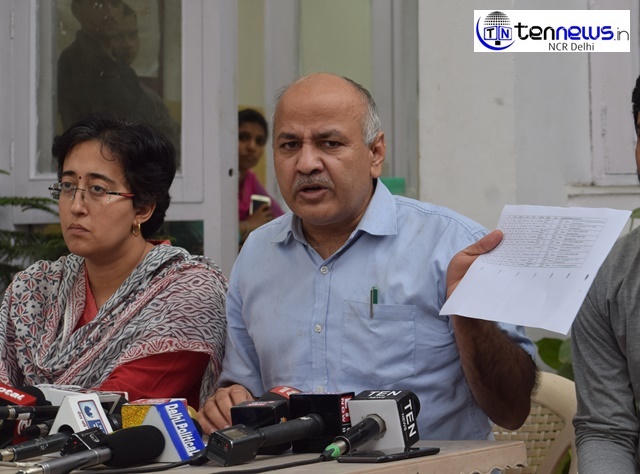 New Delhi: Today, Delhi’s deputy CM Manish Sisodia at a press conference released the result of some examinations they did related to deleted votes from various Vidhan Sabha of Delhi. Around 1 million votes across 10 Vidhan Sabha have been deleted under BJP’s governance, he noted. Manish Sisodia is an Indian politician who has been the Deputy Chief Minister of Delhi since February 2015. He also holds the Education, Finance, Planning, Tourism, Land & Building, Services, Women & Child, Art, Culture & Languages portfolios in the Government of NCT of Delhi.